36 Years of being green. Bedford Village Chowder & Marching Club Spring Clean-Up Days. Friday, May 4 & Saturday, May 5 (rain or shine). Call or email us if you want something carted away! Take advantage of this ONCE-A-YEAR opportunity to have C & M Club members and neighbor volunteers pick up from your home all your unwanted goods and refuse for a cash donation to Bedford youth programs and activities. For Pick-Ups call The deMenocals @ 234-0084 or email ChowderClub@aol.com. If you e-mail us, please write “C&M Pick-Up” as your subject. Fee will be determined at time of pick-up; C & M is a non-profit 501(c) (3) organization. UNACCEPTABLE ITEMS: Plaster * Sheetrock * Paint Cans* Varnish* Refrigerators * Air-Conditioners * Freezers * Tiles * Propane Tanks * Items too large for 2 people to carry * Batteries * Wet Garbage * Pressure Treated Lumber * Branches larger than 4” diameter * Toxic Substances * Large Stumps * Tires * Medical Waste * Masonry. Bedford Highway Yard – Crusher Road @ Routes 22 & 172 by Bedford Shell Station, FRIDAY & SATURDAY, May 4 & 5, FRIDAY: 8:30AM – 3:00PM SATURDAY: 8:30AM – 4:00PM. Treasures are salvaged and re-cycled at bargain prices at our popular TAG SALE. 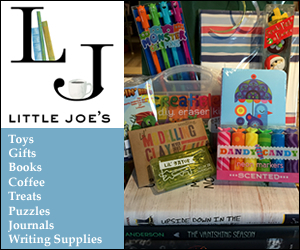 There is no charge for entering the site, and all proceeds go toward Bedford youth programs and activities. THE BEDFORD HIGHWAY YARD CAN BE CROWDED WITH PEOPLE, MOVING VEHICLES AND EQUIPMENT. PLEASE BE ALERT AND CAREFUL AT THE YARD DURING CLEAN – UP DAYS. C&M IS NOT RESPONSIBLE FOR MONITORING THE SITE. Join us on THURSDAY, MAY 3, 2012 at 7:00pm, HCC Crittenden Middle School, 10 MacDonald Avenue, Armonk, NY 10504, for: Helping Your Anxious Child or Teen: Confidence, Coping, and Commitment…The 3 C’s to Success. It’s stressful being a kid these days! Recent studies suggest that anxiety and stress rank among the top problems affecting school-aged youth. Anxious teen and children are prone to higher rates of depression, behavior problems, ADHD, substance abuse, and suicide. Dr. Weissman will discuss how these problems manifest and will present helpful strategies and parenting practices that can reduce anxiety and build confidence, coping and commitment in children and teens. This event is being presented by CHILD. Keynote Speaker: Adam S. Weissman, Ph.D Director of Child, Family, & Adult Services of Westchester (CFA-W). For information or to RSVP please contact: child@bhptsa.org. About Speak Up for Kids: The Child Mind Institute’s Speak Up for Kids is an annual public education campaign during National Children’s Mental Health Awareness Week (May 6-12, 2012). Visit childmind.org/SpeakUpforKids. C.H.I.L.D. is a parent based committee of the Byram Hills PTSA. C.H.I,L.D. is a network of resources, information and support for educators and families with children who have learning, emotional and or mental wellness differences, from pre-school through high school. Please visit our website at www.bhptsa.org/ptsa_child.htm or contact us at child@bhptsa.org. A new indoor sensory playspace for kids ages 1-12 in Chappaqua opens April 24th, called WeeZee World of Yes I Can. The bright 16,000 square foot play space includes equipment designed to strengthen nervous system conduction in a way that improves academic performance, athletic coordination and social connections in all-types of children. It will include a Rainforest & Storm Zone (tactile water/wind experience), Reaction Training & Sports Enhancement Stalls (hand-eye coordination), a Vibration Station (core stabilization), a Cyber-action Floor (anticipation in movement), a Fiber Optic Light Room (visual optimization), and a state of the art Music Room (fully-equipped sound studio with karaoke room). 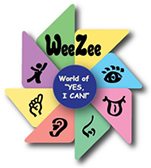 WeeZee, The World of “Yes, I Can!” is currently allowing the first 100 members to receive 50% off the enrollment fee! Essentialmom.com readers can also schedule a time to get a sneak peak of the space by contacting weezeeworld@gmail.com. To learn more visit www.weezeeworld.com. I just happened to be listening to the radio today and heard about an upcoming event featuring one of my idols in the world — Dr. Marissa Weiss. Dr. Weiss is the founder of an amazing resource, www.breastcancer.org, and is one of the most inspiring and committed people I have had the chance to meet over the years. I crossed paths with her a few years back and have watched her work from afar as the years have gone on, committing herself to not only the treatment of breast cancer, but to ways to actually affect the lives of people in treatment, recovering, or simply trying to prevent breast cancer. Breastcancer.org provides resources for people newly diagnosed with breast cancer, for those who simply want to know what they can do to prevent cancer, and the latest in research and education around related issues. Her most recent initiative, Think Pink, Live Green, is “a way of living that aims to help women reduce their risk of breast cancer or the disease coming back in survivors. It’s also a way for women living with advanced disease to make the healthiest choices possible.” She provides articles on healthy eating, chemicals to avoid, and healthy lifestyle choices. A great read whether you consider yourself a risk for breast cancer or not. Click here to read more. If this seems up your alley, Dr. Weiss will be speaking at Hudson Valley Hospital Center on April 25th! Read below for details and event information. The Organic Garden for Healing at Hudson Valley Hospital Center is almost ready for its grand opening on April 25 with more than a dozen volunteers preparing the ground for planting. Volunteers from Kohl’s department store, Eisai Oncology and Hospital staff worked from afternoon till sundown on April 17 moving topsoil and compost into the garden. The Organic Garden for Healing, part of the Hospital’s Cheryl R. Lindenbaum Cancer Center, will hold two special events on April 25 to dedicate the garden. The day’s events will start at 8:30 with a breakfast presentation featuring special guest speaker Dr. Marisa Weiss, President and Founder of Breastcancer.org followed by a dedication of the garden at 11 a.m.
Organic Garden for Healing will serve as the classroom for Hudson Valley Hospital Center’s Seeds for Health program, an educational and therapeutic program for cancer patients and their families. The program stresses the importance of nutrition in healing and the therapeutic value of gardening in managing stress and reducing anxiety. The program draws its inspiration from “Think Pink, Live Green.” The brain child of Dr. Weiss, “Think Pink, Live Green” stresses the importance of lifestyle changes, including healthier eating, as a way to help prevent breast cancer and improve the health of those already diagnosed with the disease. The Hospital approached Stone Barns Center for Food and Agriculture, a leader in the farm to table movement, to help plan the garden. Other partners include Shades of Green owner Myra Marsocci who designed the garden; Dain’s Lumber; Griffin Landscaping, Kohl’s department store; Peekskill Middle School and the engineering staff of Hudson Valley Hospital Center with special thanks to Sal DeMaio; Frank Garzione and Joe Smith for building the garden. For more information or to register for Dr. Weiss’ presentation, call 914-734-3794 or register online. And they’re off! Congrats to the brave (and crazy) folks out on the trails of ward pound ridge reservation tackling the water, hills, mud flats and cold. Why not get a head start on your spring cleaning this month by donating your gently-used furniture and other items to needy families? Furniture Sharehouse, which provides gently-used free furniture to families moving out of homeless shelters, escaping domestic violence, or recovering from natural or personal disasters, will be collecting furniture from 9 a.m. to 3 p.m. in the parking lot of the North Castle Town Hall in Armonk. Donors are urged to review the donation guidelines at www.furnituresharehouse.org to see what can be donated and what cannot be accepted prior to loading their car or wagon. Furniture Sharehouse does not accept faded, ripped or stained upholstery, king size beds, sleeper sofas, office and outdoor furniture, or oversized or heavy items. Donors will be given a receipt itemizing their donations for tax purposes. If you can’t drop your items on April 21st, pick-ups are available for a minimum of three large items and a suggested donation, and donors are also encouraged to drop off items at the warehouse at the Westchester County Airport (see website for details). For more information about Furniture Sharehouse’s Drive, contact Sharon Camacho: sharonnyca@gmail.com. Other organizations that will be collecting donations at North Castle’s April 21st Zero Waste Day include: Katonah Community Center (spring and summer clothing); Recycle-a-Bicycle (used bikes in good working order); and Adopt-a-Dog (pet supplies). North Castle residents only will be able to recycle E-Waste; scrap metal; bulky items; oil; and Paper Shredding will be available. Go to www.northcastleny.com for more information about what these other organizations are collecting. This Saturday, April 21st, from 12-4pm, Fox Lane High School will be hosting a Carnival Day to raise money for Pancreatic Cancer. This fall, one of our security guards who was also a 2 sport high school coach passed away and our librarian was diagnosed with the disease. 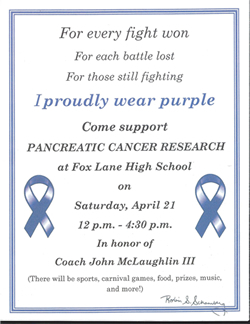 Join us for sports, carnival games, food, prizes, music and more in support of Pancreatic Cancer Research in honor of Coach Jon McLaughlin III. WLT is excited to announce the launch of Take A Hike, a series exploring the secrets of our natural world. Our first hike will be this Sunday, April 22nd, 1 – 3 PM, Earth Day Celebration at Leon Levy Preserve in Lewisboro. More Details & Registration. Each hike will be led by noted local naturalist Jim Nordgren. Hikers will have opportunities to explore some of Westchester’s special natural treasures with fun topics for everyone! Sample listings below (includes a family birdhouse building day!) For a full listing of Take A Hike events, click here. Upcoming hikes: WET AND WILD NATURE HIKE, Saturday, May 5, 12 – 3 PM, Hunter Brook Preserve, Yorktown. GARDENING IS FOR THE BIRDS, Saturday, July 7, 1 – 3 PM, Keeler Lane, North Salem. BUILD IT, THEY WILL COME, Saturday, November 10, 1 – 3 PM, Sugar Hill Farm, Bedford Hills, NY. WLT thanks MCEnergy, our generous sponsor, for making Take A Hike possible! Visit www.westchesterlandtrust.org. Discover keys to greener living and enjoy live music and kids’ activities, farmers market shopping and free raffles at Earth Day Westchester 2012: A Celebration of Green, Sustainable Living, Sunday, April 22, 10 a.m. to 3 p.m., at Kensico Dam Plaza in Valhalla. The event is part of Westchester County’s Earth Month celebration, an initiative of County Executive Robert P. Astorino. Annie and the Natural Wonder Band and Solar Punch will perform live music. The first 500 people arriving will receive one raffle ticket for a chance to win great “green” prizes. Earth Day celebration-goers can also enjoy: Farmers Market with fresh food and produce offered by local New York State farmers, Gardening Q&A with Cornell Cooperative Extension of Westchester County and the Greenburgh Nature Center, Demonstrations and informational exhibits. At 1 p.m., Astorino will present the annual Earth Day awards for environmental achievements, community programs and successful grass-roots efforts. Kensico Dam Plaza is located at the north end of the Bronx River Parkway in Valhalla. Go to www.westchestergov.com or call (914) 813-5425 for information. Fore more great Earth Day events — check our Calendar — there are a ton for every age and interest! Gearing up for the Leatherman’s Loop weekend here at the Menzies — no, please don’t get me wrong, I am not running it. All these running and race posts are going to give you the wrong idea. But this time of year, the races, the itch to get outside and shed those winter sweaters (and pounds) and you would think I actually exercise. Anyway, there are a ton of WONDERFUL events coming up this weekend in support of Earth day Saturday and Sunday, and one of my favorites, which happens to coincide with Earth Day this year is the running of the Leatherman’s Loop this weekend. My husband runs it, as do many of our courageous and fit friends — a test of wills, a day of mud, and a tired but spiritually lifted group at the end of the race. 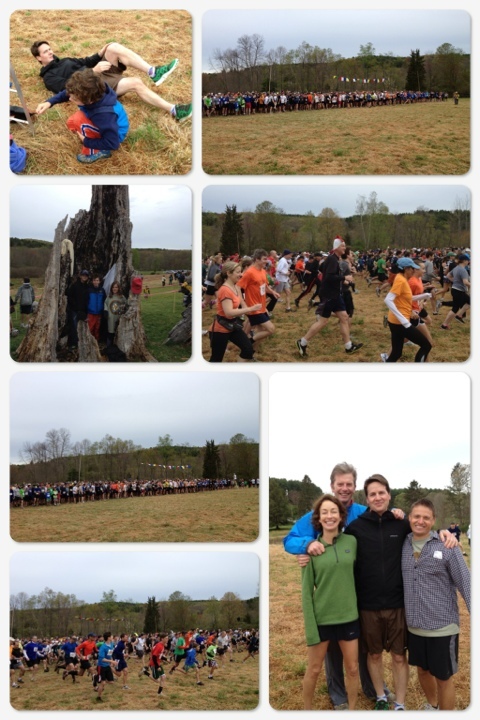 If you are running it, my wishes of luck go out to you…if you aren’t, come cheer them on — it’s a beautiful race, a great way to get out and support the Ward Pound Ridge Reservation, and just a generally fun and crazy day in Westchester. By the way, the race is full, but you can find out more about it here at www.leathermansloop.org if you are curious.